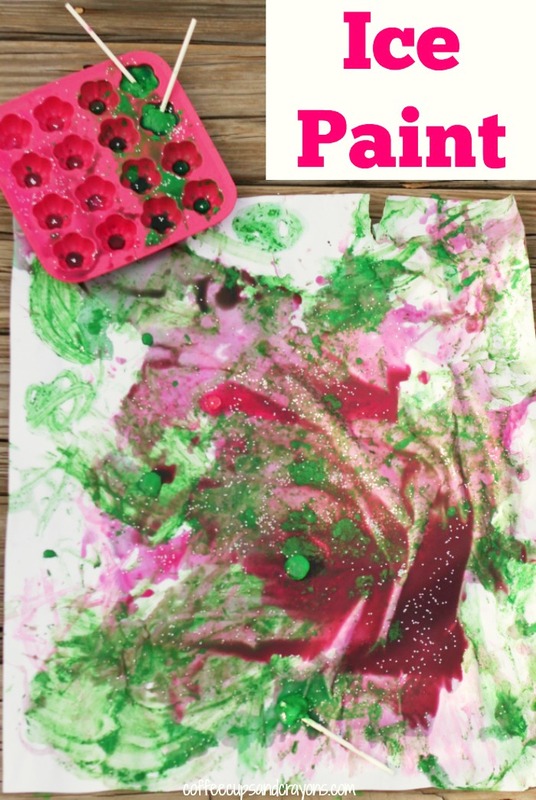 Ice paint is so easy to make and lots of fun! 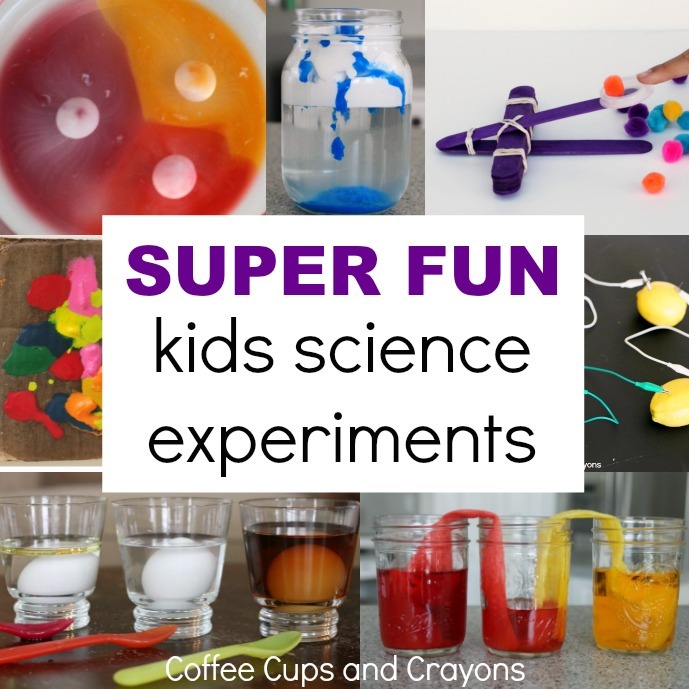 It’s a great summer STEAM activity for kids–a colorful way to keep cool on a sunny day while learning about cause and effect and the properties of ice. Don’t be nervous about the mess. It’s so simple to clean up if you do it outside, the watered down paint rinses away easily! Water down the paint with a little bit of water. I like to add just enough so that the colors mix easily while you are painting, but you don’t need much. If your paint is not too thick you can even skip the water. We stirred in some glitter and froze them in ice cube trays. When they started to solidify I stuck some leftover lollipops sticks into them. You can stick in popsicle sticks or nothing at all. When it’s totally frozen then it’s time to paint! Science? Yes! Ice painting is the perfect summer STEAM (science, technology, engineering, art, math) activity for kids, especially preschoolers. 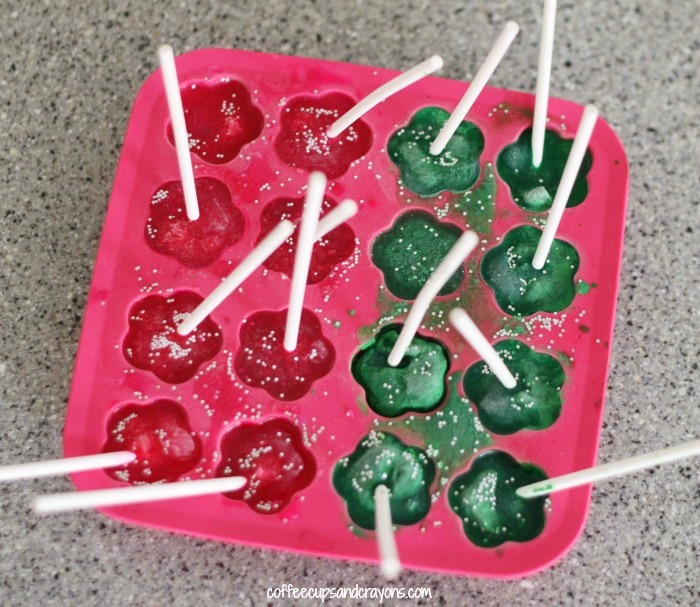 Kids can explore texture and color mixing while learning about cause and effect and how ice changes to a liquid as it melts. 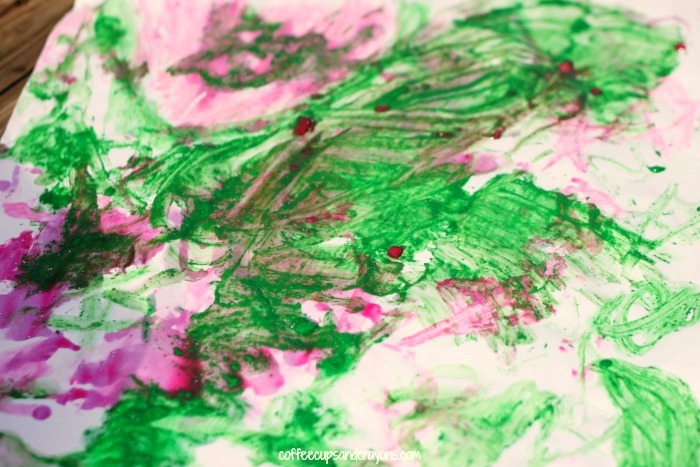 It’s a process art activity that your kids just won’t be able to resist! Frozen painting is a messy good time, but not too messy if you can take it outside (or into the bathtub). The nice thing about ice painting is that the mess can be easily washed off with a hose so tell the kids to put on their old bathing suits or play clothes and get ready for some summer fun!